= the silliest (documented) results to date “behind cohutt’s fence”. Mrs cohutt had no idea what I was working on after dinner last night; after I sent a text to her to come see the results she laughed for a full 5 minutes before she clarified that it had her approval. (I think it is a conditional “backyard only” type of approval though). 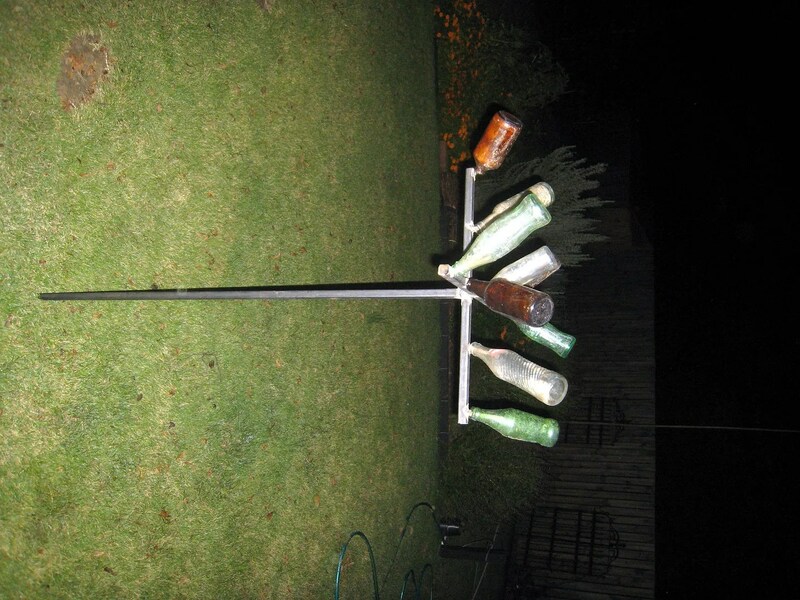 Don’t worry, it can easily be moved to wherever I can drive a couple of feet of rebar into the ground, so it will soon be looking for a less prominent position behind the fence. The 9 bottles all are vintage ones that were excavated on site during the great privet removal/fence construction project in the winter of 2009-2010. For almost 2 years they have been lounging on the beech stump in front of my tool shed just waiting for something stupid like this to save them from the dump. Another picture? Sure, if you insist, one from a slightly higher perspective…. I like it. Next thing we know, Cohutt is going to be featured in a modern art magazine. 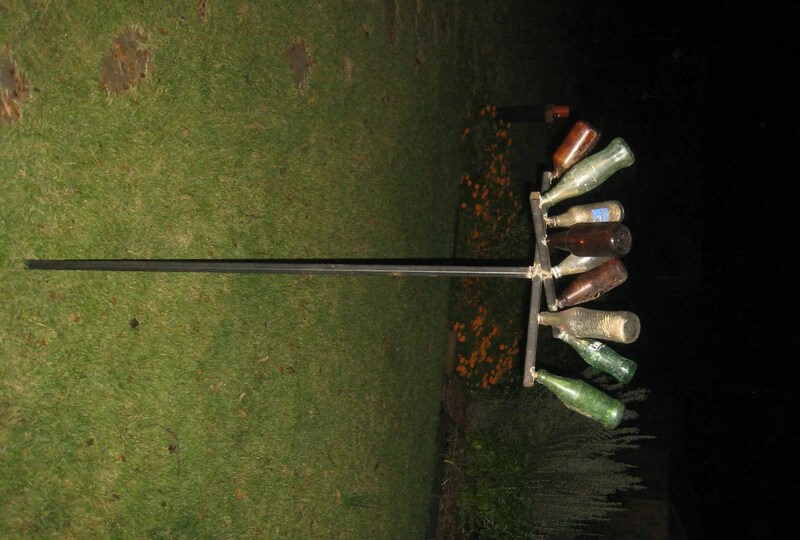 I think the bottle tree looks GREAT!